My goal is to be an effective and efficient asset of a team of individuals that I can learn from. 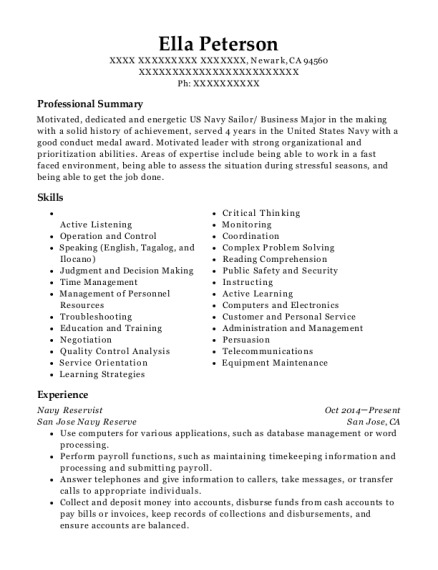 As a prior active duty component of the United States Navy, I maintain my discipline and self motivation to excel in a number of positions. I'm both a fast learner and a retainer of knowledge. My critical thinking skills and calm nature allow me to asses situations that occur and be able to apply appropriate action in order to maintain safety, professionalism, and positive morale. My perception of adversity is that every obstacle is an an opportunity to grow, and that growth leads to knowledge and maturity. 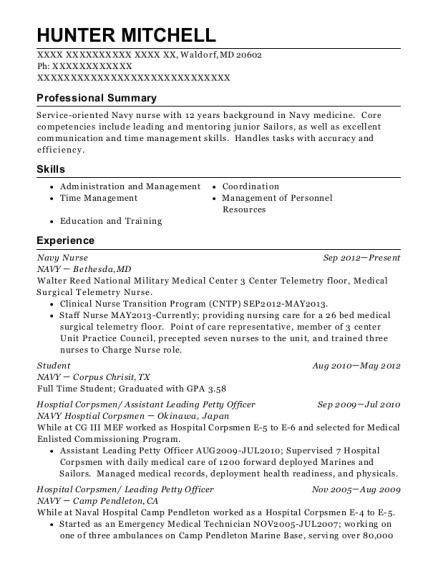 This is a resume for a navy in North Hollywood, California with experience working for such companies as United States Navy and Mcdonalds. 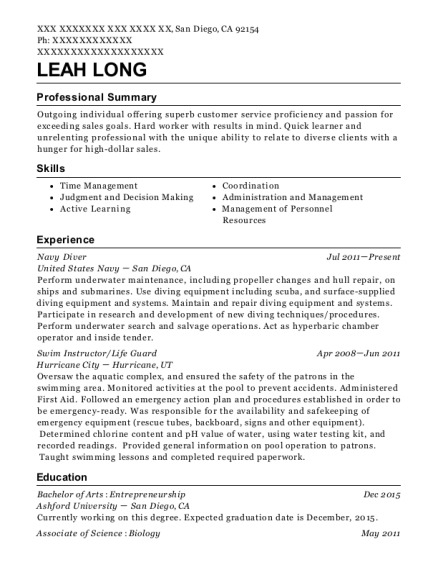 The grade for this resume is 0 and is one of hundreds of navy resumes available on our site for free. 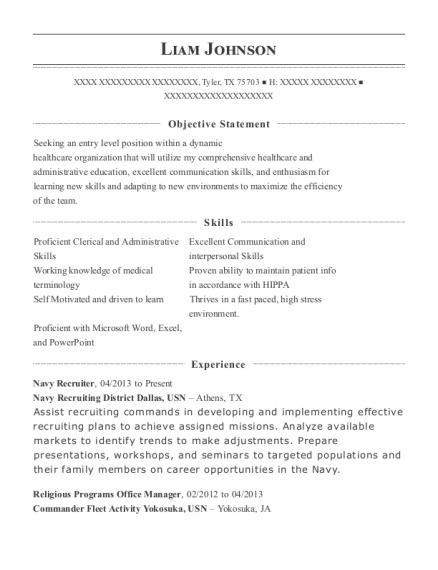 Use these resumes as templates to get help creating the best navy resume.